Susanne Scholz began her musical studies in her hometown, Graz, Austria, and continued her education in Vienna and in The Hague. 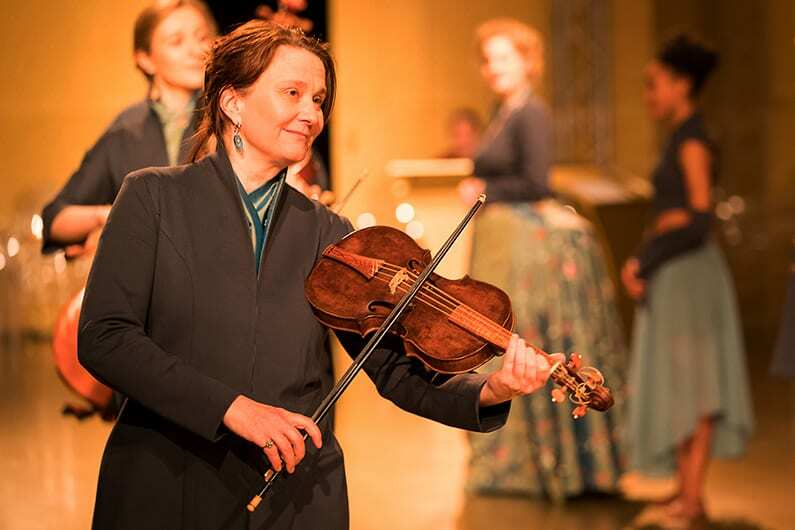 As a baroque violinist, Scholz divides her time between solo and chamber performances, as well as opera directing and production. She frequently appears with the prominent early music ensembles “Les Arts Florissants” and “La Petite Bande.” Her performances include music from the Renaissance, Baroque, and Classic eras, and are delivered using appropriate instruments, techniques, and performance styles, always in consideration of historical documentation and important source materials. Scholz has been featured on countless records, often as a soloist. Her research of historical performance practices led to the creation of her two most recent CDs : a 2014/2015 recording with her Renaissance ensemble “Chordae Freybergenses,” performed on copies of the famous instruments of the Freiberg (Saxony) cathedral; and a 2018 production of A. Corelli’s Op. 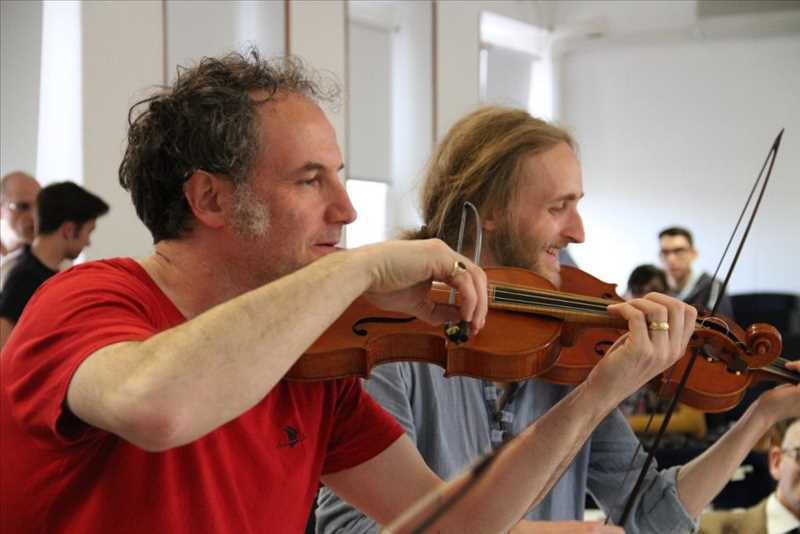 5 violin sonatas with harpsichordist Michael Hell. 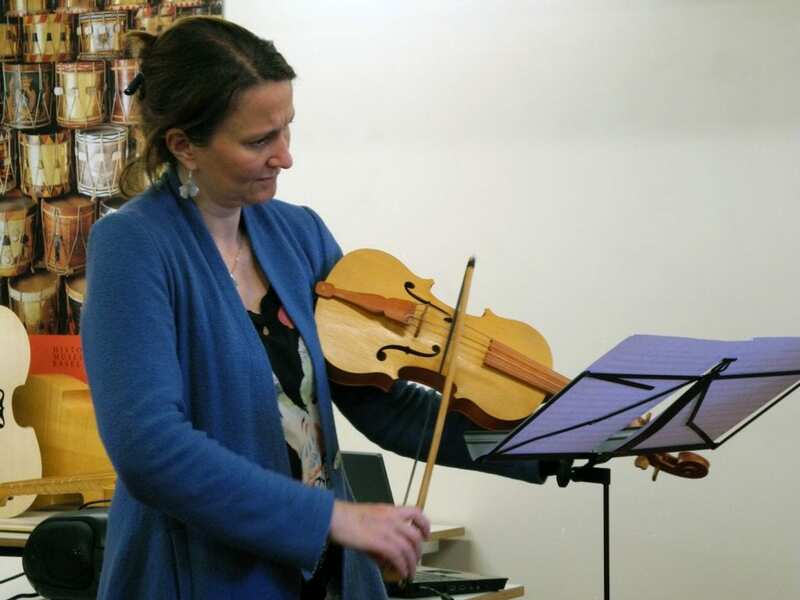 Scholz’s pedagogical work is extensive and includes teaching baroque violin, chamber music, and musicology at a variety of institutions, including but not limited to the Vienna Conservatory, the “Hochschule für Musik und Theater” in Leipzig, and the Bach Archiv. She has been invited to conferences and masterclasses in Asia and Europe, and she regularly holds summer courses throughout Europe. Since 2012, she has been a lecturer at the International Course of Early Music of Urbino. Currently, Scholz teaches baroque violin and directs chamber music and opera productions at the Department of Early Music and Historical Music Practice of the Kunstuniversität in Graz. 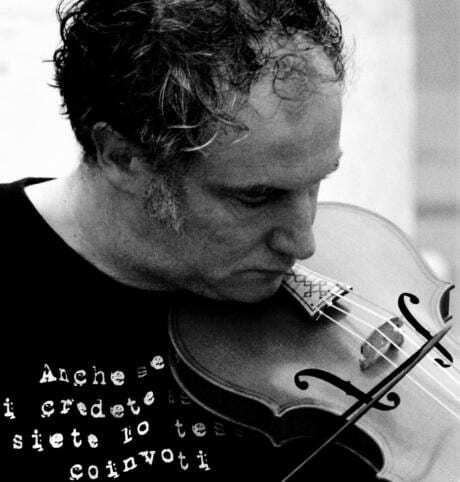 Dario Luisi was born in Genoa, Italy and studied violin at the Conservatorio di Musica Niccolò Paganini. It was during his time there that he first became interested in historical performance practices, the study of which soon became his primary interest. As a Baroque violinist/violist he is primarily self-taught, but over the years he has been inspired by such teachers and mentors as Sergio Balestracci, Emilio Moreno, Enrico Gatti, Jesper Christensen, and Sigiswald Kuijken. It has been Luisi’s continued passion to explore the sounds and colors of period instruments and the performance of early music. As a performer, he enjoys a rich and varied career. He frequently appears as a soloist and orchestra member of leading early music ensembles, including “Les Arts Florissants,” “Les Talens Lyriques,” “Concerto Barocco,” and “Capella Savaria,” of which he was leader for about five years. Luisi has been a prominent educator in the field of early music and historical performance practice studies for over twenty years. He has previously taught at the Scuola Civica di Musica, Milan, the Scuola di Musica Antica of Venice, and the City Conservatory of Vienna. He has also taught as a lecturer at the University of Music in Graz, and is chair of the Historical Instruments of the Violin Family at the regional conservatory “J.J. Fux” in Graz. Luisi is currently tenured at the J.J. Fux Konservatorium, Graz, where he teaches historical organology, pedagogy and methods, and chamber music. He also organizes a variety of performances in its department of early music.